Timeless and true, this Victorian-inspired custom cutting board, which features your personalizations, will make the perfect statement in any kitchen or dining space. Victorian-era architecture and style has outlasted over a century of passing trends, due to its unparalleled, effortless elegance. Add a touch of that timeless class to your kitchen and dining space with this unique, sophisticated piece. 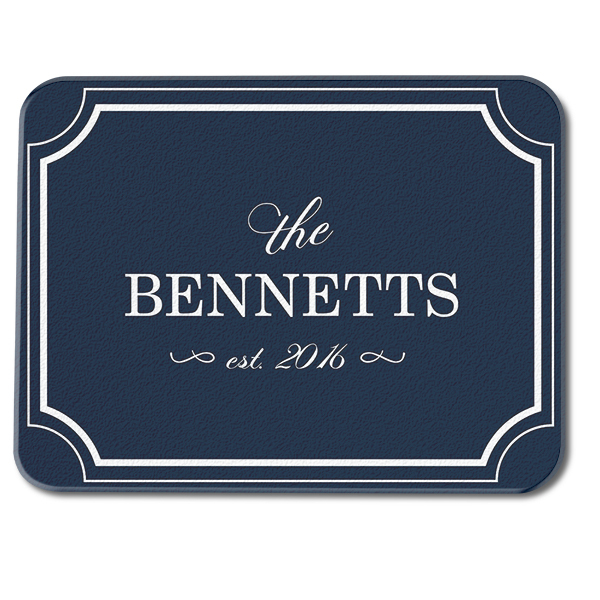 Constructed of sturdy Chinchilla-finish tempered glass, and boasting your family name and a line of custom text, this design perfectly integrates with almost any aesthetic or decor.